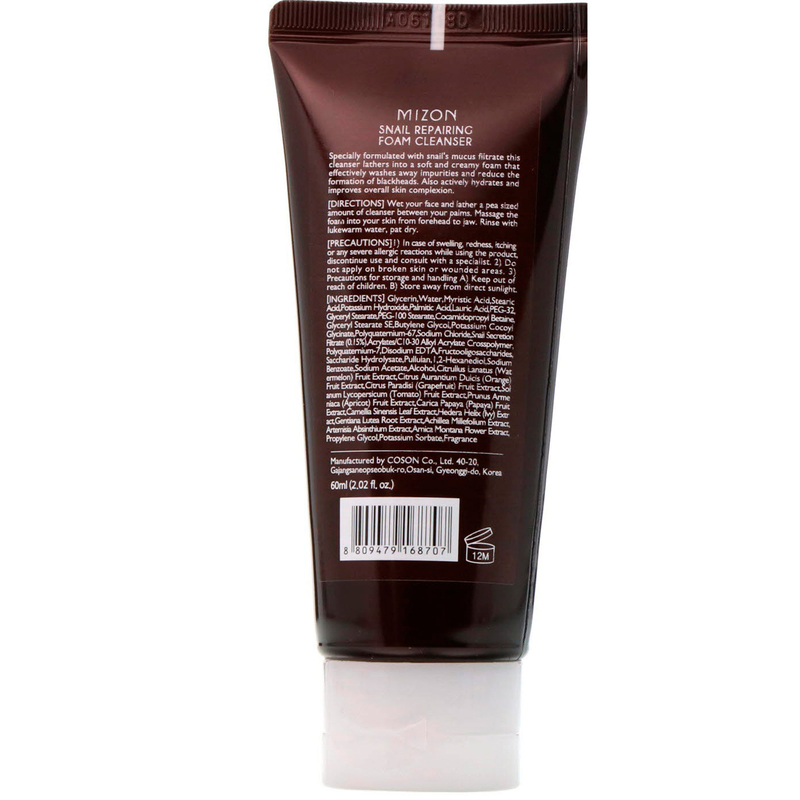 This foam cleanser with snail's mucus filtrate and its soft and creamy foam deep cleanses sebum and skin wastes. 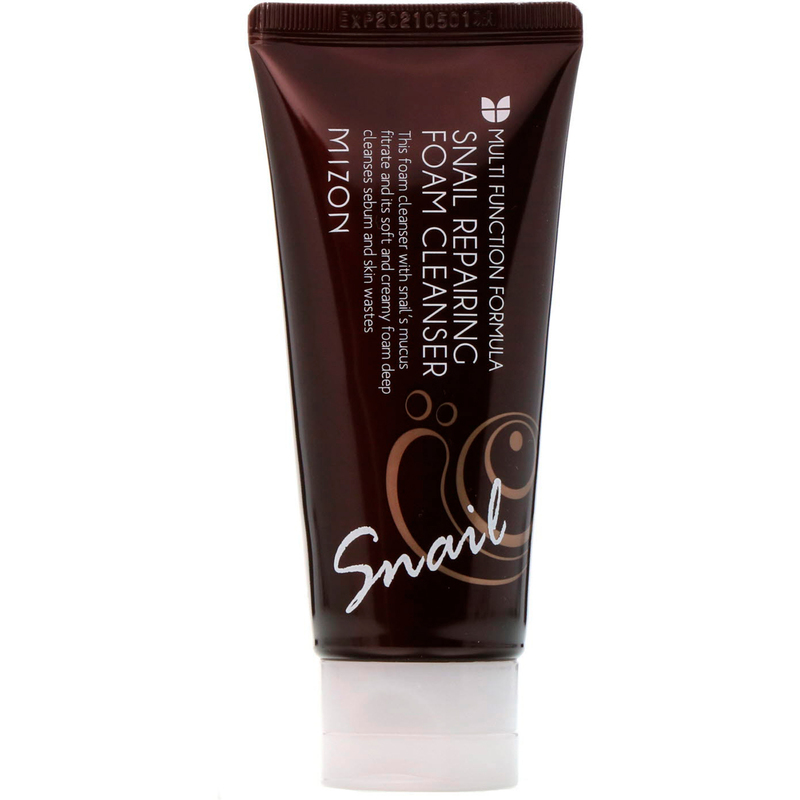 Specially formulated with snail's mucus filtrate this cleanser lathers into a soft and creamy foam that effectively washes away impurities and reduce the formation of blackheads. Also actively hydrates and improves overall skin complexion. Wet your face and lather a pea sized amount of cleanser between your palms. Massage the foam into your skin from forehead to jaw. Rinse with lukewarm water, pat dry. Glycerin, water, myristic acid, stearic acid, potassium hydroxide, palmitic acid, lauric acid, peg-32, glyceryl stearate, peg-100 stearate, cocamidopropyl betaine, glyceryl stearate se, butylene glycol, potassium cocoyl glycinate, polyquaternium-67, sodium chloride, snail secretion filtrate (0.15%) , acrylates/c10-30 alkyl acrylate crosspolymer, polyauatemium-7, disodium edta, fructooligosaccharides, saccharide hydrolysate, pullulan, 1,2-hexanediol, sodium benzoate, sodium acetate, alcohol, citrullus lanatus (watermelon) fruit extract, citrus aurantium, dulcis (orange) fruit extract, citrus paradisi (grapefruit) fruit extract, solanum lycopersicum (tomato) fruit extract, prunus armeniaca (apricot) fruit extract, carica papaya (papaya) fruit extract, camellia sinensis leaf extract, hedera helix (ivy) extract, gentiana lutea root extract, achillea millefolium extract, artemisia absinthium extract, arnica montana flower extract, propylene glycol, potassium sorbate, fragrance. In case of swelling, redness, itching or any severe allergic reactions while using the product, discontinue use and consult with a specialist. Do not apply on broken skin or wounded areas. Precautions for storage and handling A) Keep out of reach of children. B) Store away from direct sunlight.